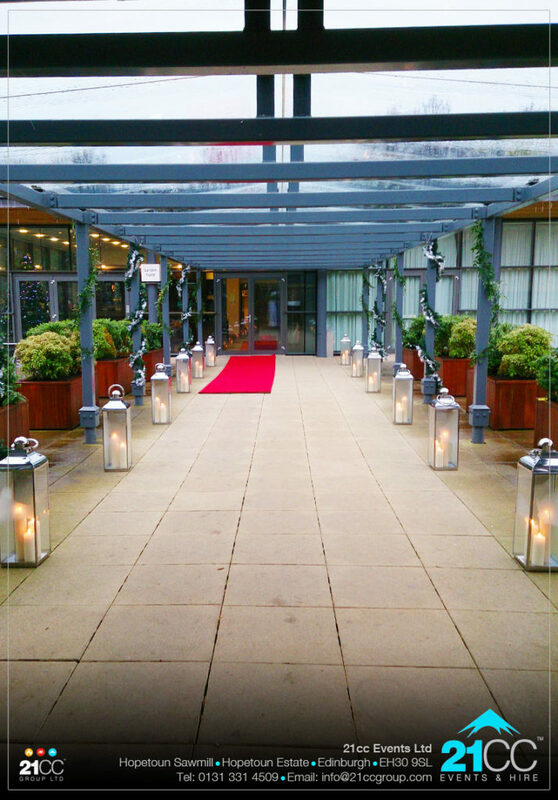 Arrive at your venue with our beautiful candle lanterns lining the driveway, the garden paths of the estate gardens or the balcony of your city centre venue. 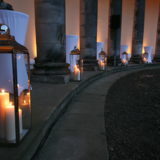 Our candle lanterns are regularly used to line colonnades, steps and doorways to venues. 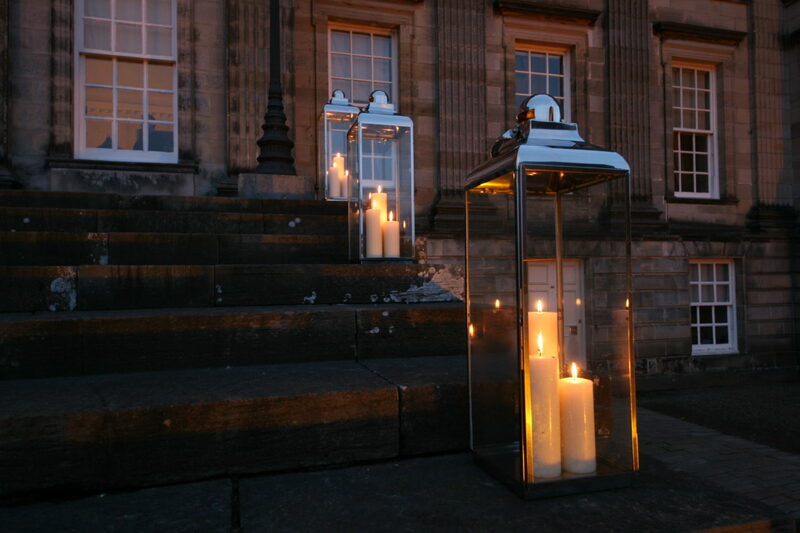 Fully lined in glass, these lanterns offer a beautiful and romantic addition to the presentation of any venue, indoors or outdoors. 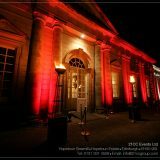 Our professional indoor and outdoor lighting design services here at 21CC Event Ltd can be used to enhance any event whether it be a small private dinner to a full scale outdoor public celebration, or building and product launch. 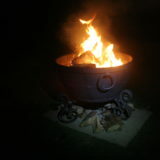 Our fire pits look magnificent, even on the sunniest of days. They give off a huge amount of heat, making them the perfect gathering point as guests arrive and mingle through out the day. 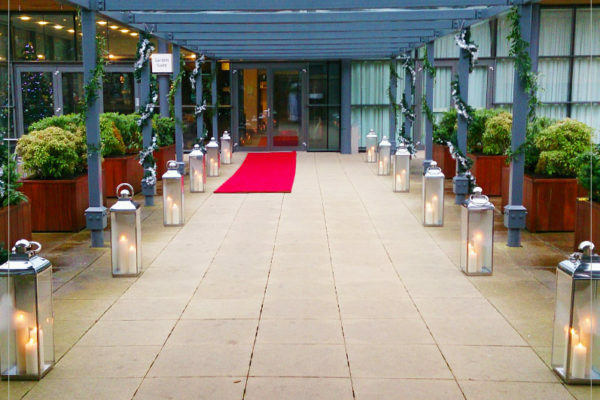 The entrance to your venue or your marquee is transformed by our authentic, period style gas powered flambeaux torches by 21CC Events Ltd.
Our gas lanterns are purpose built, formed from spun stainless steel with a frosted glass top and designed to add that layer of special detail to your event. 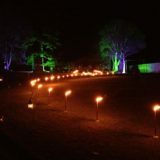 Our wax torches can be used if it is a real live orange flickering flame that you are looking for to light up your venue gardens or driveway. 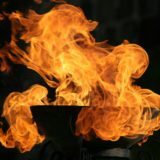 They are also the perfect tool for the job when it comes to torch lit processions. 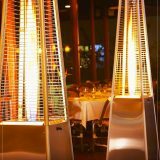 Our Gas Pyramid Heaters look incredible. 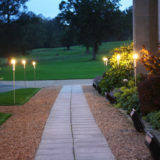 They provide an impressive living flame within a glass tube for a stunning real fire effect that warms any outdoor area. A durable stainless steel and aluminium design with a sleek professional finish that is sure to impress. 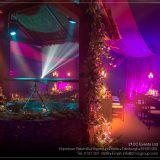 Our purpose built Wishing Well looks great and can be a real talking point at your next function or event. 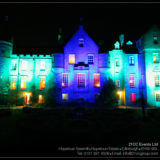 These can be hired out as a professional service where we deliver, set up, maintain and set down. Or they can be dry hired from us. Contact us for more information.